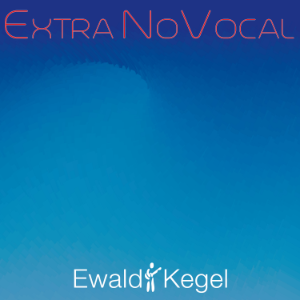 ‘ExtraNoVocal’ is the twelfth album by Dutch musician Ewald Kegel, to be released in May 2018. The album is a collection of instrumental (hence ‘no vocal’) music recorded between 1987 and 2018. ‘Extra’ refers to the fact that these tracks have not been released before and can be considered as an addendum to regular releases. The album contains a variety of styles ranging from minimalistic music and piano music (“Work in Progress”, “Sombre”, “Finale”) to full fledged, complex songs like newly recorded tracks “Please Make Me Wonder” and “Another World”. Also there are improvised tunes like ‘Mine’ and the chaotic rock of “Unintentional”. The album is centred around 80’s and early 90’s electronic music influenced by the then popular Yamaha FM synthesis. The album forms a pair with a previous album “Extra Vocal”, an earlier 2018 release. “Extra Vocal” had a similar approach, which is also expressed in the comparable album cover design. In the case of ExtraVocal the album obviously vocal tracks. The album opens with ‘Please Make Me Wonder’ , an original version of the song was composed and recorded in 1985. The title refers to the Beach Boys song ‘Please Let Me Wonder’. By the time of the original recording of the song the producer noticed that some of the melodic elements sounded similar to the Beach Boys song ‘Please Let me Wonder’ from the mid 1960s. The album weighs in on a rediscovered VHS tape in 2015. That tape contained mixes of songs that mostly were considered to be lost or forgotten (‘Xandra’ – ca. 1988, ‘Party Jam’ – ca. 1988, ‘Rush Hour’ – ca. 1988, ‘Hard Beat’ – ca. 1987). Many of these compositions were written originally for use in audiovisual productions. ‘Hard Beat’ was composed for a 1987 BMW commercial. The late 1980 songs on this album represent the introduction of the computer (Atari 1040STf) in the recording studio. Sampling became a common place in the music as is clearly audible on a track like ‘Hard Beat’. ‘Extra NoVocal’ also contains two tracks from the never released album ‘Synthesizer’ (2007): ‘Yess Delight’ and ‘Finale’. Other tracks on the album ‘Kirana’ – 2014, ‘Disco Daze’ – ca. 1992, ‘Mine’ – 2008, ‘Unintentional’ – ca. 2009, ‘Back 2 the 80s’ – 2011, ‘Sombre’ – 2014 and ‘The Last Supper’ – 2016 contain edits, remixes and added recording made in 2018. Another -more electronic sounding- version of ’Mine’ was originally released in 2008 on the ‘Magic Colors’ EP. The acoustic version on ‘Extra NoVocal’ is the original recording of the song. 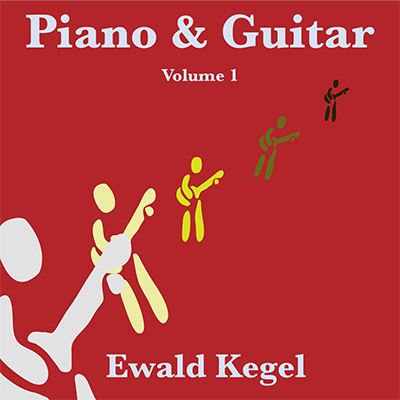 This entry was posted in Music and tagged ballad, dx7, ewald kegel, instrumental, jazz, lounge, music, new album, piano, pop, rock on April 30, 2018 by admin. A new album is released: Piano & Guitar, Vol. I. Where the previously released album (2meetu) in July 2016 had a distinctive electronic sound, the P&G album contains a more pop rock oriented direction. As the title indicates, the guitar and piano are omnipresent and the arrangement of the songs is build around the acoustic piano and acoustic and electric guitars. The P&G album became like a time travel through Ewald’s favourite music styles and influences from the past and present.Each of the tracks on the album can be linked to these influences. The album opener ‘Early in the Morning’ sounds like a recording session for Paul McCartney’s 1971 album Ram, while another track ‘Down on the Ground’ breathes a production style from the Beatles AD 1969, when they recorded their swing song album Abbey Road. But the influences certainly do not stop there. Varying from Beach Boys (‘It Doesn’t Take a Scientist’) to a string of jazz and latin influenced tracks (‘When’, ‘That Initial Moment’, ‘Young & Beautiful Lovers’). ‘When’ is actually the finishing of a demo that Ewald already recorded in 1984 and in its chord progression and structure references to the music of Antonio Carlos Jobim. The other tracks on the album were mainly recorded in the summer and autumn of 2016, with the exception of ‘October’ and ‘That Initial Moment’ that were both recorded earlier (in 2013). ‘Lady Blue’ is a multi layered instrumental track that hits off with Asian inspired percussion theme, gradually transforming into a soundtrack like theme (think the music of Ennio Morricone) and then to morph into a mysterious, psychedelic last episode. ‘Mam’ is like a playful, simple interlude, an introduction to what can be considered the center piece of the album, the epic ‘Ride Along The Stars’. After the vocal first part, the track is for the second half instrumental offering the listener a multitude of different instrumental themes before the fading containing a double, improvised solo guitar. The sparse use of Mellotron in the song contributes to its mysterious and psychedelic qualities. As a counter weight to ‘Ride Along the Stars’ the album’s final track is a simple and elegant ballad. ‘Believe in Me’ contains the bare basics of piano, vocal and some sparse cello. This entry was posted in Music and tagged ewald kegel, music, new album, pop music, rock on November 19, 2016 by admin.